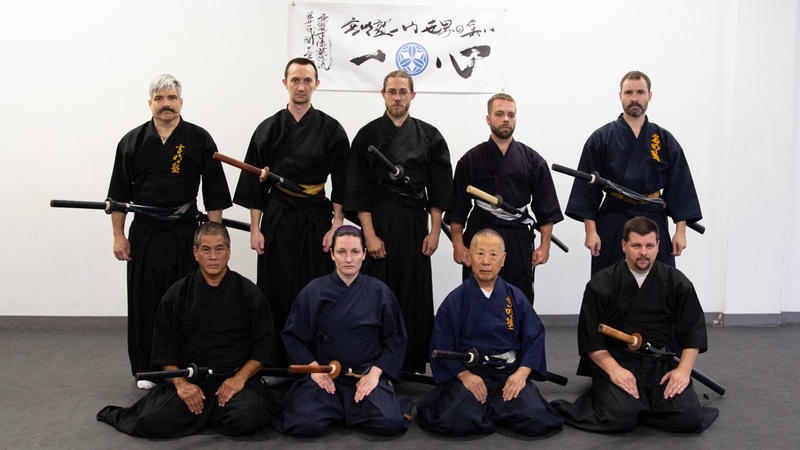 Traditional Japanese swordsmanship classes are held on Tuesdays from 8:00pm - 9:00pm and Thursday from 8:30pm - 9:30pm at the Austin Sports Center in Cedar Park. Muso Jikiden Eishin-ryu (無雙直傳英信流居合術) translates to “peerless, direct transmission, true-faith style”. It is the second oldest martial art from Japan with an unbroken history of 450 years that was founded in 1590. The founder of Muso Jikiden Eishin-ryu was Hayashizaki Jinsuke Shigenobu, who also founded Hayashizaki Shimmei Muso-ryu, Muso-ryu, Hayashizaki-ryu, Hayashizaki Jinsuke-ryu, Muso Shinden-ryu, and Jushin-ryu. It is said he confined himself for approximately a hundred days in the Hayashizaki Myojin Shrine, where he received divine inspiration for a new body of sword techniques using a long sword. The term ‘Eishin’ came from 7th generation headmaster, Hasegawa Chikaranosuke Eishin, who officially called the art Muso Jikiden Eishin-ryu. He also served the Tokugawa family in Nagoya and excelled in Kyudo. The title ‘Muso’ (unparalleled / peerless) refers to the fact that Hasegawa Eishin was praised by Toyotomi Hideyoshi as “a swordsman without equal” when he saw a demonstration of his iaijutsu. The 9th generation headmaster, Hayashi Rokudayu Morimasa, served the Tosa domain and established Eishin-ryu there. The 17th generation headmaster, Oe Masamichi formalized many of the waza in Muso Jikiden Eishin Ryu. He changed the names of the Omori-ryu and Hasegawa-ryu, (both styles were integrated into Eishin-ryu at the time) into Seiza no Bu and Tatehiza no Bu. Masamichi also organized the waza into logical order within each set. Yamauchi Toyotake, the 18th generation headmaster is the grandson of Yamauchi Yodo, the daimyo of Tosa. Yamauchi Toyotake taught many students in Tokyo and Kyoto and even served when called to do military service in 1941. The 20th generation, Onoe Masamitsu, inherited it and passed it to the current 21st generation, Sekiguchi Komei. 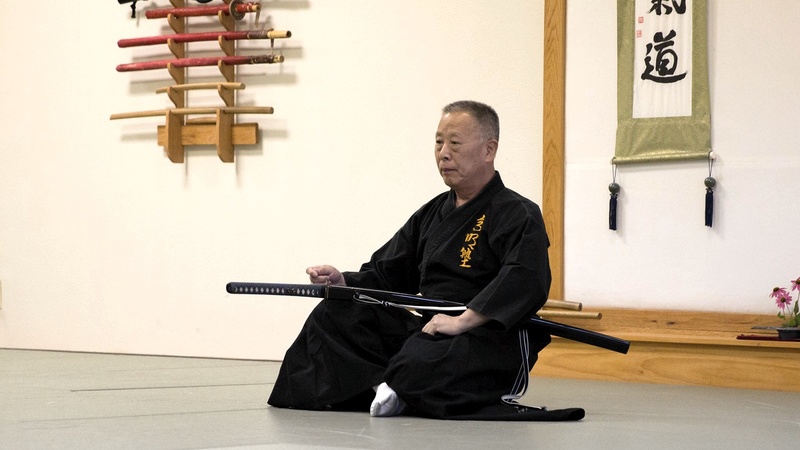 The current (21st) soke is Sekiguchi Komei sensei. He created the Komei Jyuku, an international body of students, and spreads iaijutsu with the isshin / one heart (一心) philosophy.